Scores have died, including two Polish nationals, and hundreds have be injured in the wildfires that were contained by Tuesday afternoon. The toll is likely to rise, rescue services said. 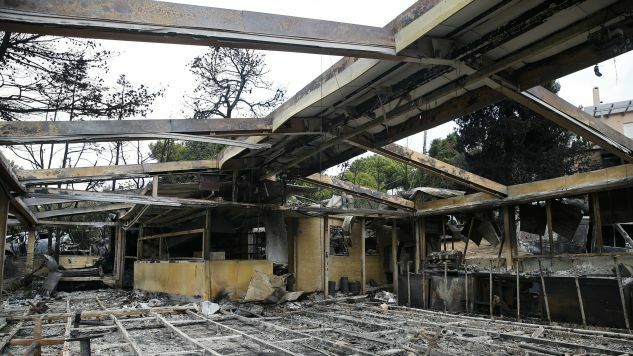 The seaside resort of Mati − in the Attica region of Greece gutted by the fires − is popular with local tourists, especially pensioners and children attending holiday camps. Poland’s foreign ministry appealed for Polish citizens staying in Greece to remain cautious and, in the event of danger, comply strictly with instructions from local emergency services. The foreign ministry also said that a team “implementing activities aimed at helping Polish citizens” was established at the Polish embassy in Athens. A helpline was also opened at +30 6936554629 for those seeking information. Meanwhile, former Polish ambassador to Greece and Cyprus (1991-1996), has blamed Greek real estate developers for the fires. A search for survivors is continuing in Greece, where at least 74 people have died in wildfires east of the capital Athens. Over 150 have been injured. High winds spread the fire, trapping many in homes and vehicles and forcing others into the sea as they tried to escape the flames. Prime Minister Alexis Tsipras has declared three days of mourning. He has declared a state of emergency in Attica, saying all emergency services have been mobilized. Kostas Laganos, a middle-aged survivor, compared the ordeal to the destruction of the Roman city of Pompeii, where thousands were incinerated by the volcano of Mount Vesuvius in 79 AD. “We went into the sea because the flames were chasing us all the way to the water. It burned our backs and we dived into the water,” added Mr Laganos. On Monday night, hundreds of firefighters battled the flames, which were fanned by winds of up to 100km/h (60mph). Coastal patrol boats and private vessels picked up hundreds of those who managed to reach harbours or beaches. Rescuers are now searching houses, cars and the coastline for survivors and victims of the fires, amid fears the death toll will rise. Besides Poland, Italy, Germany and France have all sent help in the form of planes, vehicles and firefighters, while Spain and Cyprus have also offered assistance. 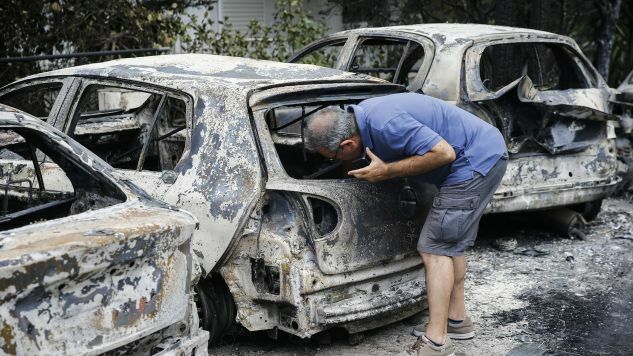 Greece’s last major fire disaster was in 2007, when dozens of people were killed in the southern Peloponnese peninsula.